WHAT DOES IT MEAN WHEN WE SAY WE OFFER POWER PRICING? 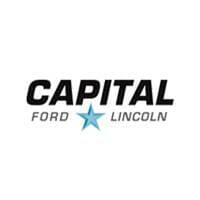 At Capital Ford Lincoln Winnipeg, our only priority is finding you the right vehicle at the perfect price. We won’t waste your time and hard-earned money because we offer the best prices in the market. With our POWER PRICING program, you are guaranteed to find a comfortable vehicle at the right price for you. We hire people specifically trained to review your make, model, mileage, and vehicle history! They know their stuff, and that means when it comes time to trade in your vehicle and upgrade you are getting the BEST DEAL FOR YOU. The staff at Capital Ford Lincoln Winnipeg do not use old school dealership tactics. That means no bickering, haggling, or intimidation – just honest and knowledgeable salespeople helping you get into the vehicle you want! There are no negotiating contests, you get a fair price for your trade-in, and a vehicle that is Power Priced: our goal is to make the car-buying experience stress-free for the customer. Of course, we are DealerRater’s National Lincoln Dealer of the Year and that comes down to the prices we offer and the quality of our staff. We sell more than anyone else because our vehicles are POWER PRICED. You cannot get offers as good as this anywhere but Capital.